Nice silver large Amethyst Celtic Knot Pendant. This Amethyst Celtic Knot Pendant has silver work in a celtic design which wraps around a pretty 15mm x 20mm inverted teardrop cabochon. It is 4 1/2 cm incl its bale. Matching earring are also in stock. 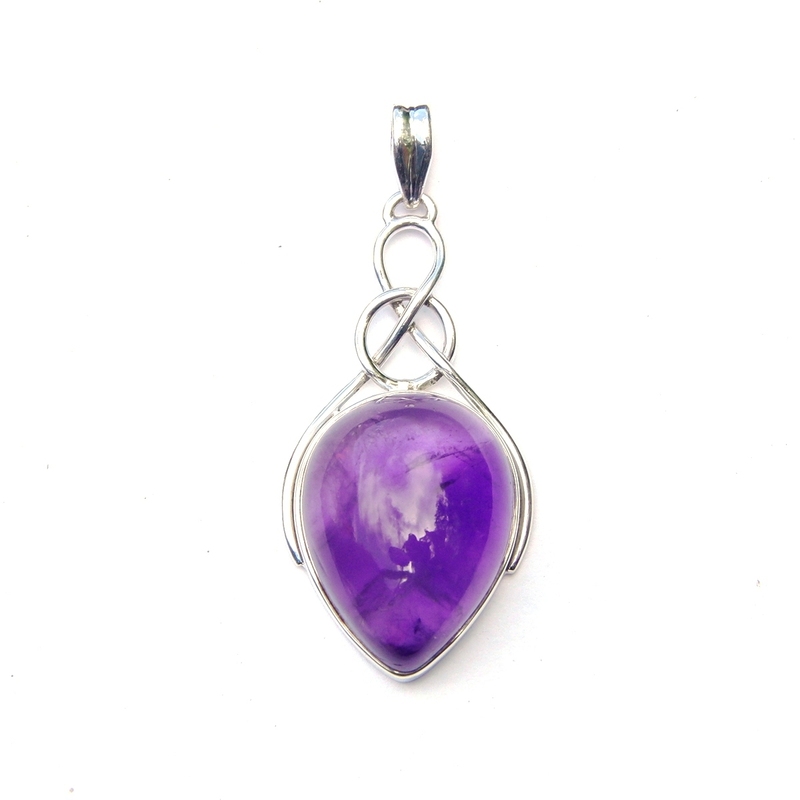 This website is strictly for approved Wholesale customers only, if you are looking to purchase this Amethyst Celtic Knot Pendant from a retail store, please visit Shooting Star.